With the ongoing growing number of (successful) phishing attacks entering the organization via email, there’s an increasing demand for a rock-solid message hygiene solution. In my opinion there are very little on-premises solutions that do a great job, and very little cloud solutions. 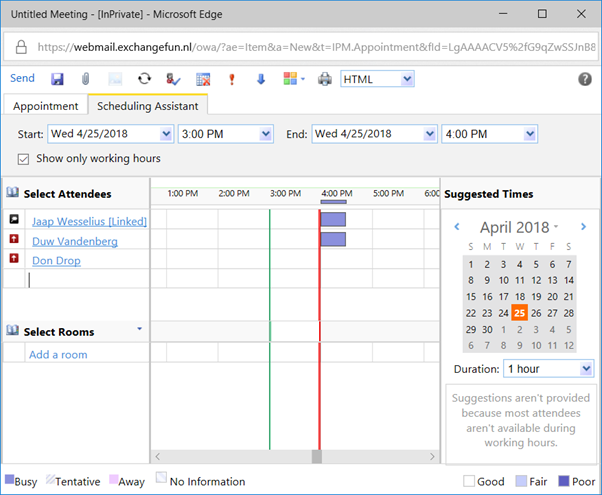 Google has a great message hygiene solution, but Microsoft’s Exchange Online Protection (EOP) is getting better and better each year. Not surprisingly since both Google and Microsoft can invest a tremendous amount of R&D money in their message hygiene solution. There’s an Exchange mailbox server on-premises, and in the organization’s DMZ there’s a mail relay server. In my environment this is an Exchange Edge Transport server, but this can be any SMTP server of course. MX records are pointing to the Edge Transport Server in the DMZ, the Internet Send Connector is using the Edge Transport Server as the source transport server. 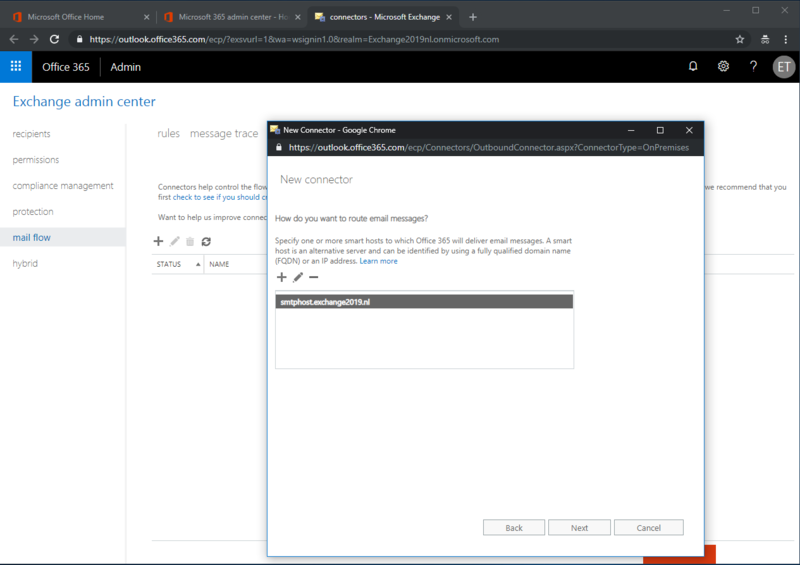 Between the Mailbox server and the Edge Transport server there’s an Edge Synchronization running to keep the Edge Transport server up-to-date with internal information. 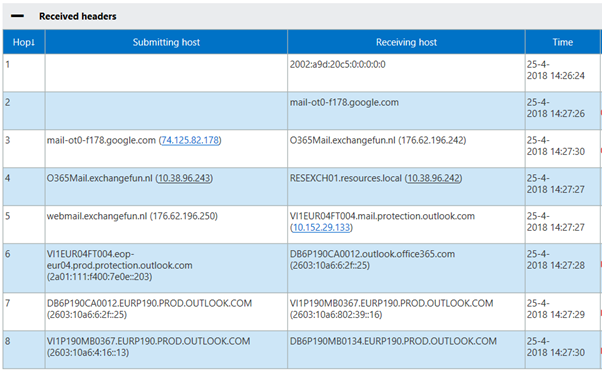 The MX record here is pointing to smtphost.exchange2019.nl (you can guess the version I’m using 😊) and this is also the outbound server. The SPF record is pretty simple in this scenario since there’s only one egress point for my email, so the record is V=spf1 ip4:176.62.196.247 -all. At this point there’s no DKIM signing or verification (not available in on-premises Exchange) and there’s also no DMARC record. 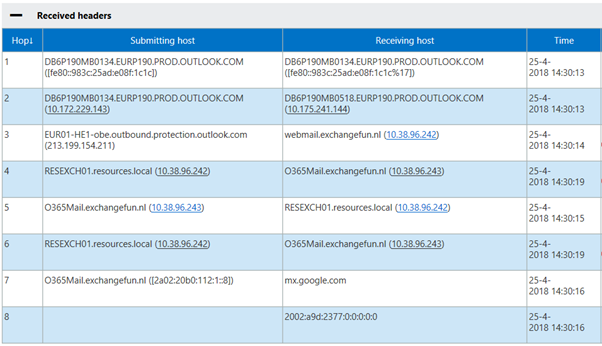 Exchange Online Protection is Microsoft message hygiene solution. Before EOP it was called Forefront Online Protection for Exchange (FOPE). The original version was created by FrontBridge, which was acquired by Microsoft in 2005. You can get a separate EOP subscription, but EOP is automatically part of any Exchange Online subscription, so you must do the math to figure out the best value for money. EOP can be used for inbound mail and for outbound mail. To implement EOP for inbound mail it’s just a matter of changing the MX records so that they point to EOP instead of your on-premises mail servers. 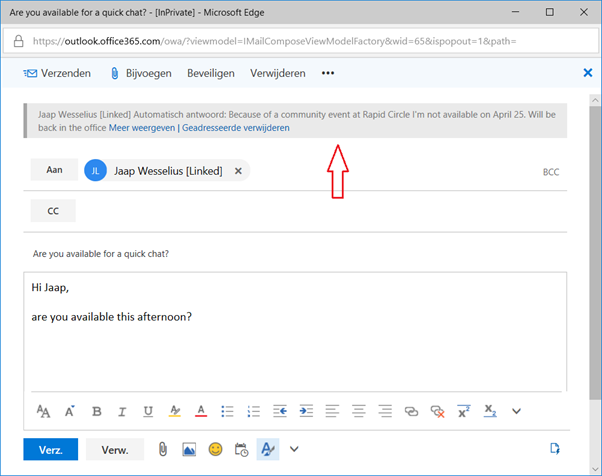 For outbound mail you have to change the Internet Send Connector to use EOP as a smart host. All outbound email will then be forwarded to EOP and delivered to the intended recipients by EOP. In my lab environment I have been working with Edge Transport servers since the beginning. From a message hygiene perspective, they do a great job when it comes to connection filtering, but other than that message hygiene is so-so. After signing-up for Exchange Online Protection you must configure it. 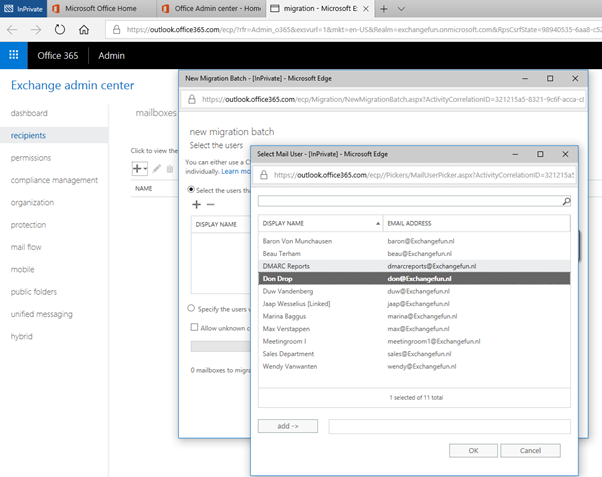 The first step is to configure a new domain in the Microsoft 365 Admin Center. When the domain is added and validated it will automatically appear in Exchange Online Protection as an Accepted Domain. 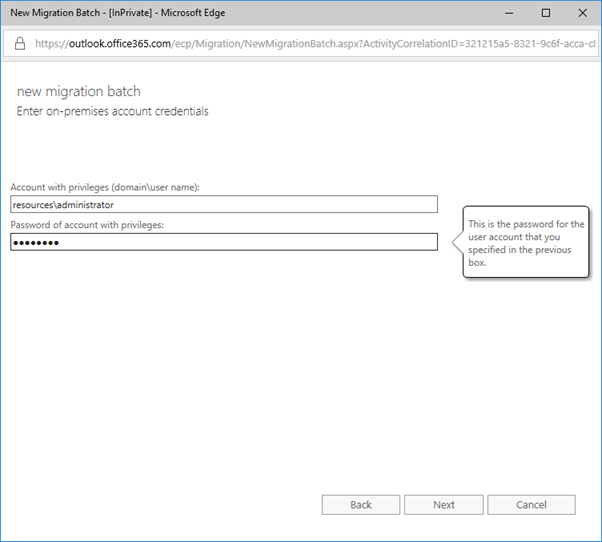 It is a Microsoft recommendation to implement directory synchronization using Azure AD Connect when implementing Exchange Online Protection. 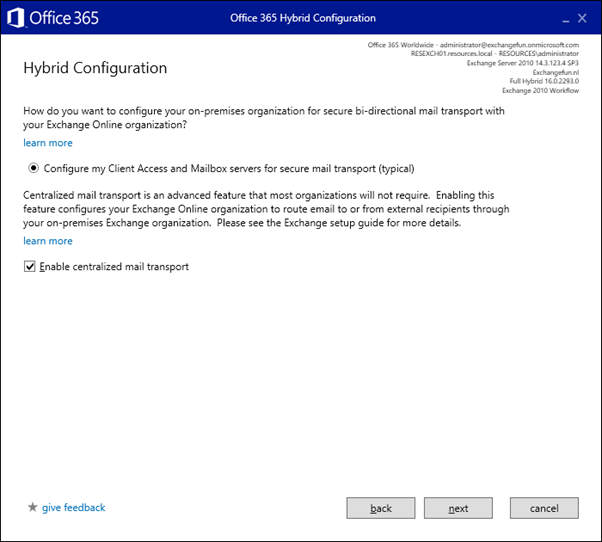 If you do, all mailboxes in the on-premises Exchange environment are known in EOP as contacts and can be individually managed in EOP. 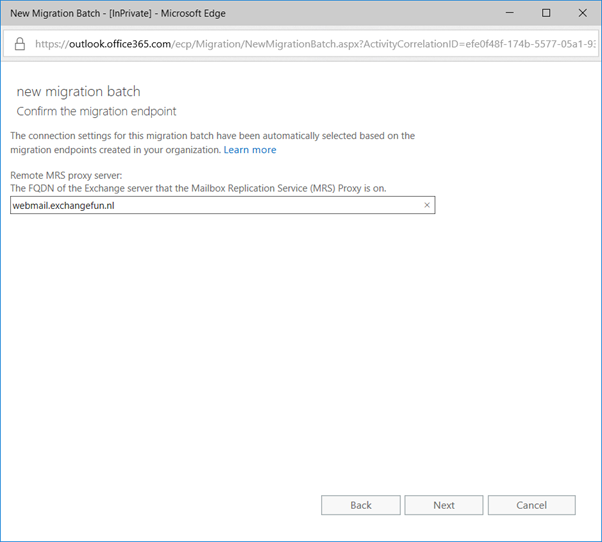 Before the MX record can be changed to EOP, a Send Connector should be created from EOP to the on-premises Exchange server. This connection is encrypted using TLS, so a 3rd party certificate is recommended. 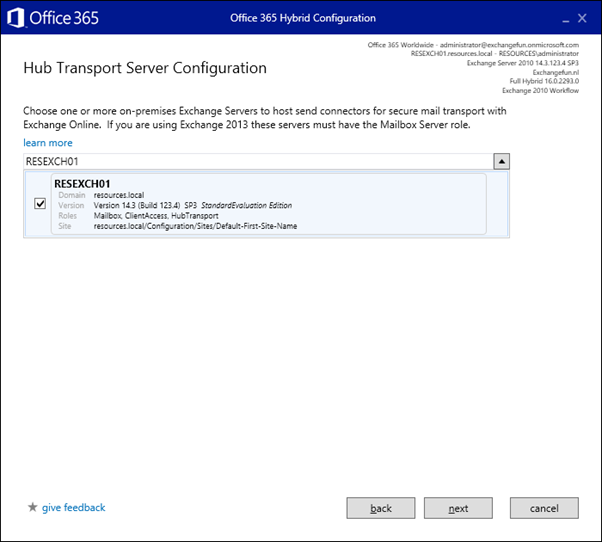 To create Send Connector from EOP to your on-premises Exchange environment, open the Exchange Admin Center (in Office 365), select mail flow and click connectors. If this is a new EOP environment, you should see nothing. Click Next to continue. The following window is about TLS. The default is to enforce TLS and use certificates from a valid third-party CA. Accept the defaults and click Next to continue. The connector is now fully configured, review all settings and click Next to create the connector. The connector is now ready for use. 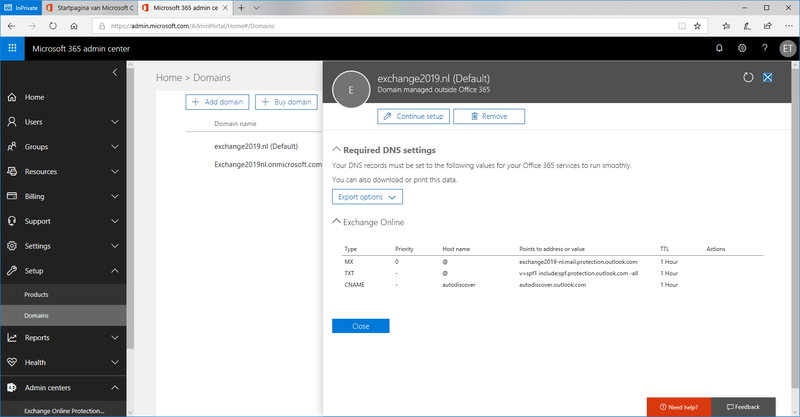 After changing the MX record in public DNS to the FQDN as found in the Office 365 Admin Center (which is something like yourdomain-com.mail.protection.outlook.com) inbound mail will now be protected by Exchange Online Protection. 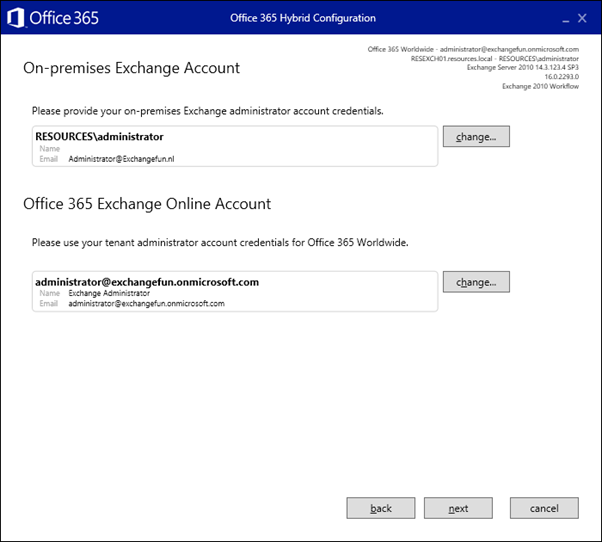 In this blogpost I’ve shown you how to implement Exchange Online Protection as a message hygiene solution in front of your on-premises Exchange environment. The process will be similar if you are using a different mail solution but want to implement EOP before your solution. In part II I will explain the steps when you want to implement EOP for outbound messaging. In a previous blogpost I discussed an issue I had with Outlook 2010 and TLS 1.2. At the same time this reminded me that Microsoft will remove support for TLS 1.0 and TLS 1.1 in Office 365 on October 31, 2018 as communicated in https://support.microsoft.com/en-us/help/4057306/preparing-for-tls-1-2-in-office-365. This means that when you have communication issues with Office 365 because of an older and weaker protocol, you won’t get any support. Time to do some research…. 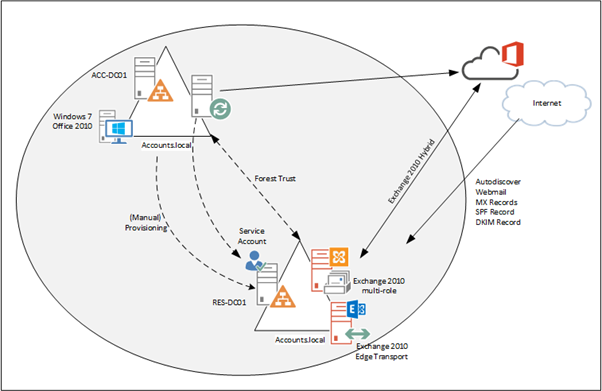 MX records is pointing to my Exchange 2010 Edge Transport Server (running on Windows 2008 R2), webmail and Autodiscover are routed via an F5 LTM load balancer to an Exchange 2010 CAS/HUB/Mailbox server (also running on Windows 2008 R2), and hybrid is configured directly on Exchange 2010 (for hybrid mail flow I’m using a separate FQDN, o365mail.inframan.nl) without any Exchange 2013 or Exchange 2016 server. 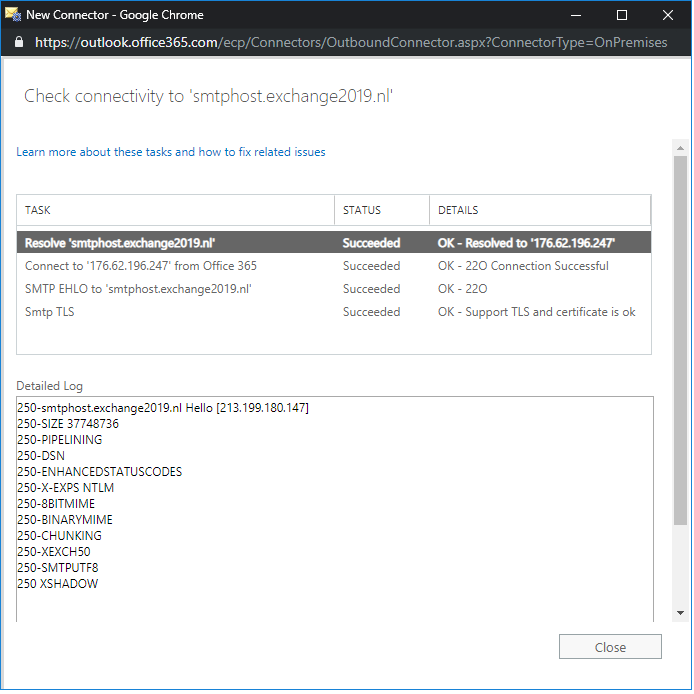 So, how do you test which TLS version is used by your Exchange 2010 server? In Exchange 2010 this should be done using the protocol logfiles. Message headers in Exchange 2010 do not contain enough information for showing this TLS information. So, you must enable protocol logging for the appropriate Receive Connectors and Send Connectors. 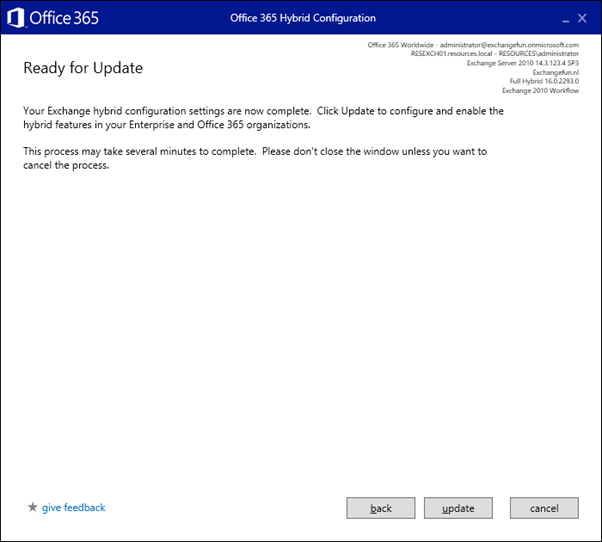 In my environment this means the Default Receive Connector on the Exchange 2010 Edge Transport server (for O365 traffic from other tenants), the Default-First-Site-Name to Internet Send Connector, and both connectors between the Exchange 2010 server and Office 365 for hybrid. Analyzing the protocol logfiles can best be done in Excel (import as CSV files). When analyzing, look for a string like TLS protocol SP_PROT_TLS1_0_SERVER (when receiving) or TLS protocol SP_PROT-TLS1_0_CLIENT (when sending). When TLS 1.2 is used, look for a string like TLS protocol SP_PROT_TLS1_2_SERVER and TLS protocol SP_PROT-TLS1_2_CLIENT. On every Exchange server you need SSL certificates for authentication, validation and encryption purposes. For SMTP you can use the self-signed certificate. Exchange 2010 uses opportunistic TLS, so the self-signed certificate will do in this scenario. If you need to configure domain security (mutual TLS) on Exchange, you need a proper 3rd party SSL certificate for this. 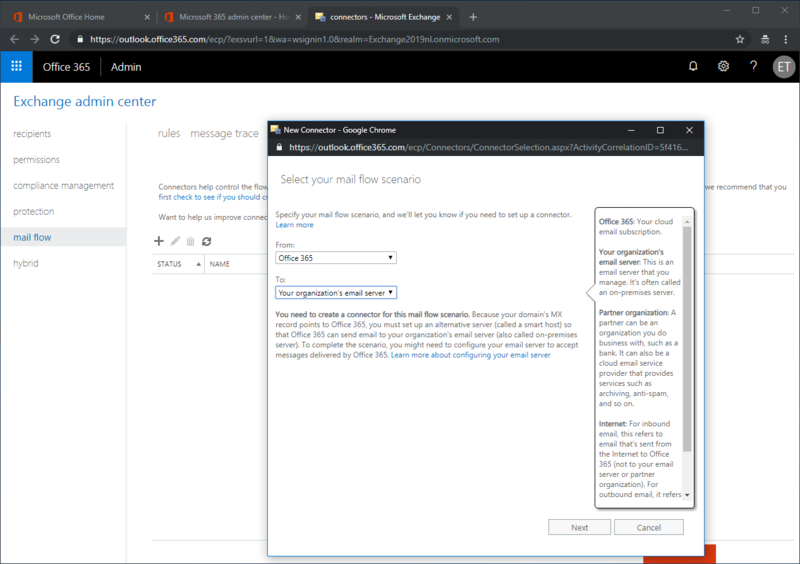 SMTP communication between Office 365 and Exchange in a hybrid scenario is an example of mutual TLS or domain security. 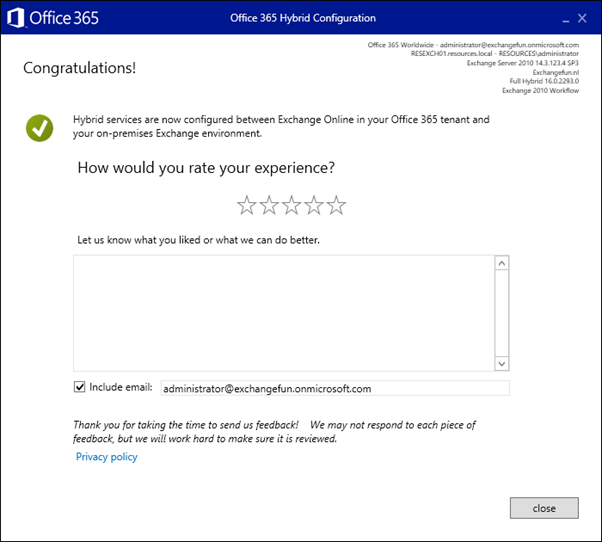 A proper 3rd party SSL certificate is needed on your Exchange server. 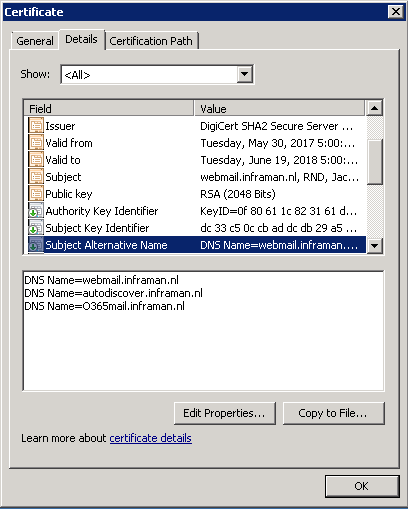 I was always under the impression that mutual TLS can only use the Common Name of the certificate, which in my scenario is CN=webmail.inframan.nl. After a previous blogpost there was an interesting discussion (see the comments of this particular blogpost) about this, so now it’s time to do some testing. Originally I had a Digicert SSL certificate with Common Name CN=webmail.inframan.nl, and a Subject Alternative Name entry autodiscover.webmail.com. During the HCW I entered webmail.inframan.nl and selected the proper certificate. 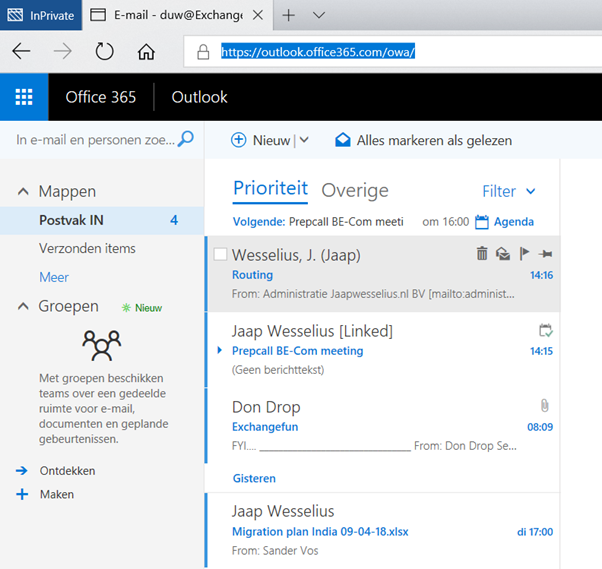 It was time to renew my SSL certificate, so I added an additional SAN entry o365mail.inframan.nl.